Adriana Monk founded Monk Design in 2008 offering creative design solutions for transportation disciplines. She was an IDSA Student Merit Award Winner in 1995 and the only female product designer in her graduating class from ArtCenter College of Design. Her career began at Designworks/USA, a BMW subsidiary and advanced design studio in California. Monk applied her passion for design and problem solving to automotive interiors spending the next 10 years designing for exclusive marques including Rolls Royce, Lincoln, Jaguar and Land Rover before following her passion for yachts. Designing for Wally Yachts was the stepping stone into the nautical world and the inspiration to set up her own consultancy. From product design, to cars, yachts and bicycles, it is the broad spectrum of experience that sets Monk apart. The crosspollination of disciplines allows her to bring a fresh design perspective, as demonstrated by her award-winning designs. Creativity, clarity and elegance are the main principles she brings to each new project, tackling Design in Motion with energy and enthusiasm. Monk lectures at the Royal College of Art in London and at the International University of Monaco. 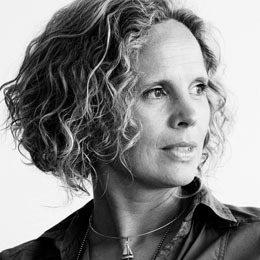 She has judged Boat International’s Design and Innovation Awards, Red Dot Design Awards and IDEA.